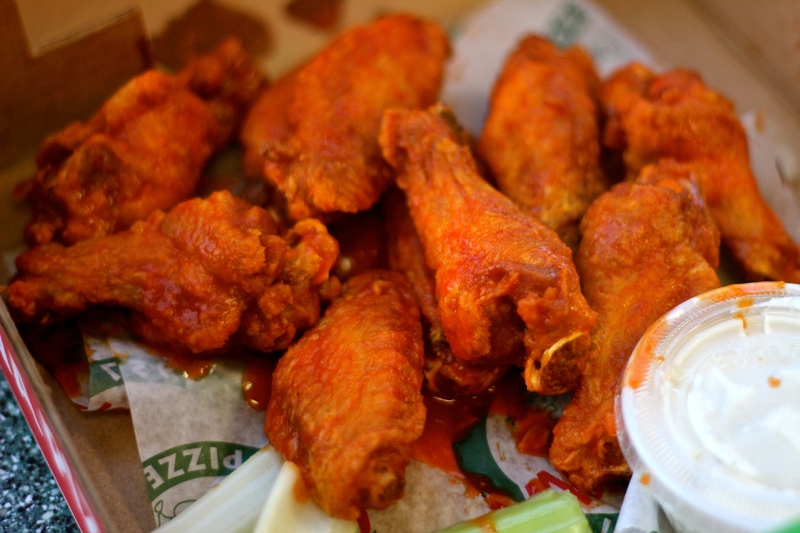 Chicken Wings (or Buffalo Wings to everyone else) can be found pretty much anywhere in Buffalo. And while pizza places around the country have tried to introduce wings as a side to pizza over the last few years, this is nothing new to La Nova Pizza. With a location in the city and another in Williamsville, we made our way to Williamsville to get all of their goods. Little did we know that this location was more of a carry out situation, but we grabbed seats at basically the only stools available and placed our orders. 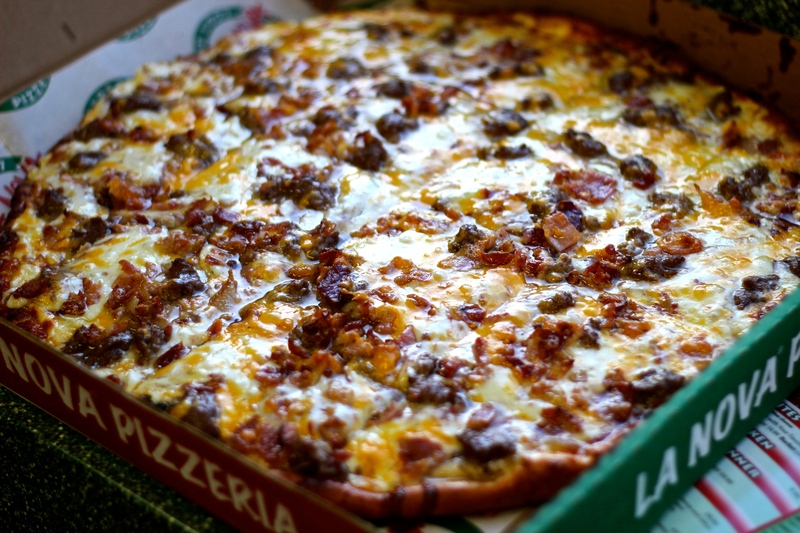 We began with some of their hot wings, then topped it off with their bacon cheeseburger pizza. And before I go any further, I should also mention that my buddy got some Bar-B-Que Wings “from the Pit” that had no business being as good as they were. Much of this was due to the fact that they were actually grilled and had perfect char to go with the rest of the flavor. I want your sauce. All your sauce. But as for my food, the wings were certainly tasty. By no means was their sauce amazing, but it was better than average and at a heat level that most people would find comfortable. The pizza we ordered was massive, sliced into squares and oozing with cheese (mozzarella and cheddar), ground beef and bacon. It also had tomato sauce, which was actually the best part of the pizza. Sure, the cheese, beef and bacon were great. I mean, how could those things not be? But that tomato sauce really solidified why La Nova was a worthy pizza joint to visit. Having now visited La Nova, it is obvious to me why nationwide pizza joints want to capitalize on the addition of wings. The trouble is that to do so, they have to really care about their wings, like by preparing them the way La Nova does. It doesn’t hurt to make a damn good pizza either.